Facebook has put its next Snapchat clone on a new set of 1 billion+ users. Facebook continues to carry its app update ahead in 2018 with major changes. The Social Networking giant has recently acquired biometric ID verification startup Confirm.io. According to a report by TechCrunch, the news has been confirmed by both Facebook & Confirm.io. The Boston-based startup, Confirm offers an API to let companies quickly verify someone’s government-issued ID card. Since the deal has been revealed, thus Confirm has stopped its service as both its team and technology will be integrated into Facebook. 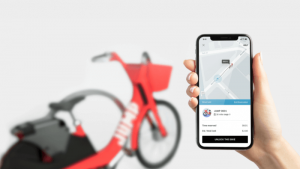 Launched in 2015, Confirm.io had received around $4 million funding from its investors Cava Capital. After the merger, the API will be used by Facebook to help its users who are locked out & unable to use their accounts. Last week, it also revealed the latest update into the News Feeds. With this update, Facebook now lets its 2 billion users decide that which news sources are trustworthy according to them. It will also allow users to rank these news organizations, and based on the credibility given by the users, it decreases that particular organization’s news feeds. Ever since the success of Instagram, people love the idea of sharing visual contents online. This ultimately made Facebook to acquire Instagram back in April 2012 for $1 billion in cash and stock. However, upon the launch of Snapchat in 2011, it invented a brilliant new format of sharing visual contents online. Snapchat provided a way for people to share day-by-day stories of their life that auto-destruct after 24 hours. Undeniably, Snapchat growth is unexpectedly high, including Snapchat app download to monthly active users. Now, if you think about it, before Snapchat, people used to share only highlights of their lives on Instagram, while on Snapchat people can share on daily basis. And, after witnessing the growth of Snapchat, Facebook approached to buy Snapchat, but failed. 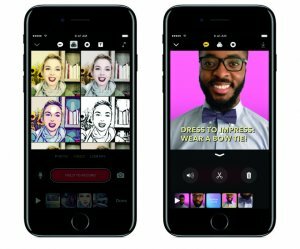 So, to grab back the users, they introduced Instagram Stories with a better way to share day-to-day activities. In fact, many people has tried to copy Snapchat’s recipe and recently Facebook put its next Snapchat clone in its main app. Starting from March 28th 2017, all Facebook users have the access to the new feature Facebook Camera, a Snapchat Clone that lets them overlay special effects on photos and videos. Facebook users can share the content to a Snapchat clone called Facebook Stories that appears above news feed on mobile and works exactly like Instagram Stories. In addition, users can also share these posts to News Feed, send it to individual friends through Facebook direct private visual messages that disappears once seen. Apart from witnessing Snapchat’s rapid growth, what really inspired Facebook to add Snapchat clone, the Facebook Stories, is the rapid ascent of Instagram Stories to 150 million daily users. 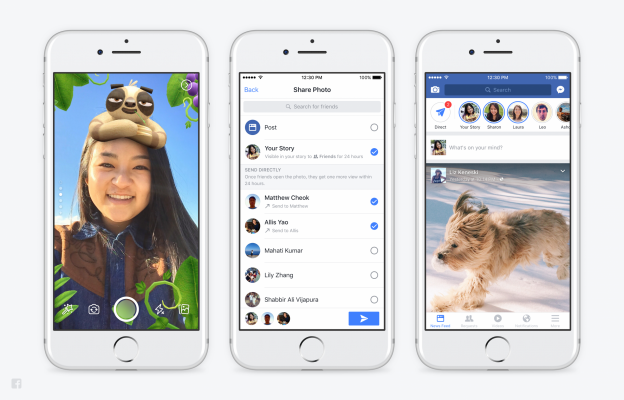 Facebook Camera Product Manager, Connor Hayes says, “Surprisingly, Facebook Stories is additive, not detracting from News Feed sharing or the usage of its other Stories products. 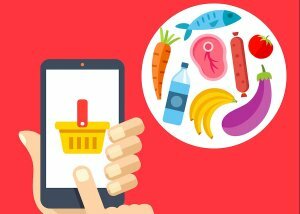 We’ve tested in markets with Instagram Stories and Messenger Day, and we’ve seen this as accretive”. Now this is the worst news for Snapchat but great news for Facebook as world’s biggest social network adopted the strategy of cloning the competitor that refused its acquisition offer before. With Facebook Stories, Facebook plans to recruit users to Stories that Snapchat has forgotten. 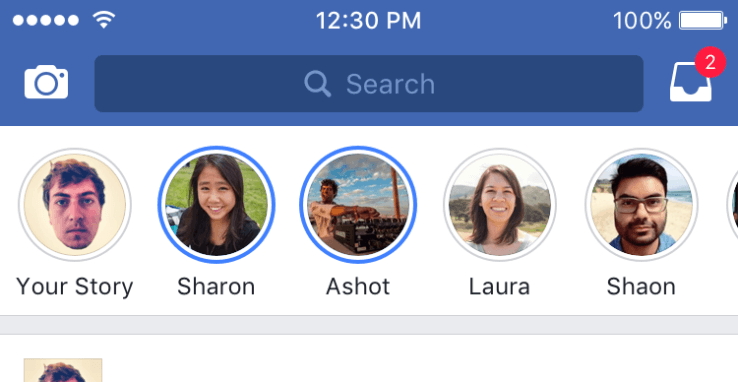 Just like Instagram Stories, in Facebook app, you’ll immediately notice the circular Stories bubble in a row above the News Feed, which shows the profile pics of friends who have posted their stories. Unlike Snapchat’s reverse chronology, Facebook went in different direction, ranking stories by relevancy. This solves the problem of not adding all your friends to see their stories. In Facebook Stories, you’ll see the stories of your closest friends first, even though your boss or other people in your friends list posted recently. However, there is also one big problem with Facebook Stories and it is that they’re visible to all your friends, and for now it’s not possible to change that. Here, Facebook should really build a privacy feature for hiding your Stories from certain people. Furthermore, as you go through stories, you can tap to fast-forward a frame and swipe to skip to the next friend, where each of these friends can see who watched their story and in what order. In addition to this, Facebook Stories can’t be viewed by your followers for now, meaning the Facebook is social media influencers to do their broadcasting on Instagram Stories where the verified profiles get special features. To access the camera feature, users have to do a quick right swipe from feed to reveal the Facebook Camera feature. 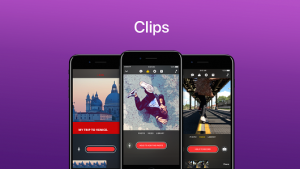 Here, you can tap to click a picture and hold to record a video. After this, you can either post it on your Story, to the news feed, or send it to individual friends through direct private visual messages feature. Along with this, Facebook also encourages Camera posts to News Feed with the overlaid profile pics and like/comment buttons. Overall, Facebook Camera feels extremely polished and powerful, with effects and a sensible way of organizing them all. In fact, you don’t need to know secret techniques which can be fun for teens. All in all, whether you use Stories or not, the Facebook Camera feature helps to express oneself more vividly. You already know that Facebook split off its chat app and forced users to download its Messenger app separately, but the Direct private messaging feature has been brought to its main app. 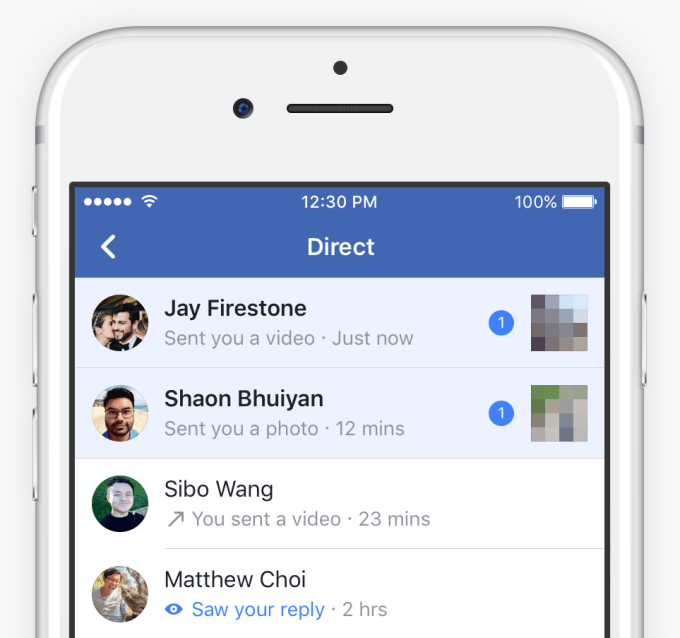 Anything that you capture or shoot with Facebook Camera can be sent to specific friend who will receive it in their Facebook Direct’s inbox. These visual messages last until they’re viewed and remains visible until the conversation drops. This means, if you’re replying rapidly with text or pictures about a direct message, it will stay alive, and it’ll go away after you cease to banter. In addition, once the uploaded content disappears from your Story or Direct Private Message, Facebook completely deletes the content off its servers. So, since we’re seeing lot of Snapchat clone these days, you may probably thinking what made Facebook made this move. What’s The Logic Behind Facebook’s Snapchat Clone Strategy? Right now, Facebook’s best hope is that the U.S. teens who are addicted to Snapchat end up using their Stories too. However, the logic behind Facebook copying Snapchat and Instagram copying Snapchat reflects a clear focus to gain back its cool factor and solidify its market position. Facebook’s Snapchat Clone strategy started back in 2013, when Facebook lost its cool factor and thus, the attention of young users. Why were younger users turning away from Facebook? Well, by the end of 2013, Facebook had 1.2 billion active users, which means everyone was on Facebook. This includes parents, grandparents, uncles, etc which made the Facebook less cool. Because you could not post all your random pictures from your weekend or party without fear of being questioned. In addition, Facebook’s News Feed also became more crowded, where not only people were getting more updates, but there were also ads from brand pages. Now, to counter this flood, Facebook introduced a new News Feed Algorithm to get a level of control over the content you saw. But then, there was Snapchat. Came in just the right time, right as this resistance to open social networking was growing, Snapchat came into picture. In Snapchat, the youth had a new platform to themselves, which was catering service directly to their interests. This factor added to Snapchat’s youth appeal, and then the controversies of sexting and disappearing content, the media coverage that boosted the Snapchat’s notoriety. Given all this, the app is proven knack for innovation, it’s impossible to see why it gained such popularity. And then, Facebook saw the threat. In fact, before 2013, Facebook was working to detect and eliminate any potential challengers to dominance. When Instagram gained 30 million users in just two years, Facebook first tried to launch an Instagram Clone to compete with the rising app. But soon, Facebook decided to buy them out. The social network followed the same plan with Snapchat as they had with Instagram. After seeing the rising popularity of Snapchat, especially in the audience segment where Facebook was experiencing declines, Facebook CEO Mark Zuckerberg met with Snapchat’s founders in 2012. According to reports, Zuckerberg told them that they had no chance, and also that Facebook was working on a tool that would duplicate their idea by developing an app like Snapchat. Few months later, after that apps like Snapchat called Poke failed, Zuckerberg met with Snapchat’s founders again to buy them out. They refused. So, given the history, it’s now easy to see why Facebook went with a strategy of Snapchat Clone. In fact, if Instagram hadn’t accepted the offer, it would have much of the same functions. Therefore, in order to keep a hold of the market and maintain their position, Facebook, in their opinion, has been forced to apply the Snapchat clone strategy. Now the risk in this strategy is that it could turn users off due to such additions, and it’s another measure that Facebook is monitoring, but that’s why they released Messenger day in Poland back in October. Like Facebook, you can also apply this logic to create app like Snapchat with new features and grab a part of this vast market. Even if it’s not original or innovative, but it works. So, the next time you have an idea for app like Snapchat, it’s worth taking the chance and become the next rising social media network. In case, if you still have any query or confusion regarding apps similar to Snapchat, then you can get in touch with us as we are a leading mobile app development company and have already developed over 3500 mobile apps in diverse categories. One of our sales representatives will revert to you within 48 hours. The consultation is absolutely free of cost. This page was last edited on July 21st, 2018, at 3:25. Want to Develop An App Like Snapchat? We Can Help!